EXCLUSIVE MEMBERSHIP OFFER FOR A LIMITED TIME! 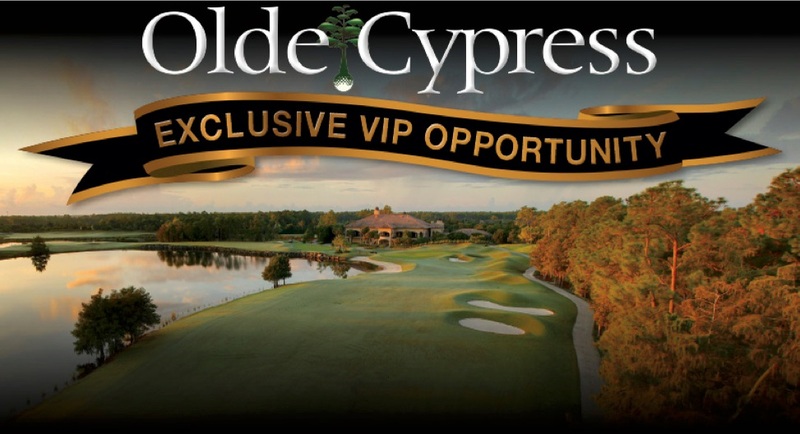 Enjoy championship golf at Olde Cypress with a $15,000 DISCOUNT OFF THE RETAIL PRICE OF $45,000*—a VIP offer available to those who have purchased a residence at another Stock community. Olde Cypress features an 18-hole course designed by P.B. Dye, outstanding instruction by PGA professionals, a state-of-the-art driving range, and a full-service pro shop, Olde Cypress offers one of Naples’ most spectacular golf experiences. Or choose our ASSOCIATE MEMBERSHIP, also available to non-residents. Olde Cypress has a NEWLY REFURBISHED CLUBHOUSE! In addition, they offer world-class tennis, fine dining from an award-winning chef and complete calendar of social events.